In the year 2011, the engineer’s ability to take an “off note” and bump it to a correct note is a well known fact. Made most popular by the use of Antares Auto-Tune by artists such as Daft Punk, Cher, and T-Pain, Auto-Tune has become a commonly understood (sometimes mis-understood) concept and has even shown up as an iPhone app. Pitch Correction is not simply finding the intended pitch and gluing the off note to it. That’s called Pitch Shifting. While Shifting and Correction have a lot of things in common – there is one fundamental difference. Instruments, particularly the human voice, have harmonic signatures. These signatures in conjunction with overtone patterns allow us to identify when an instrument is a guitar, a flute, a sine wave, or a voice. The voice in particular is manually shaped with various harmonic signatures, called Formants, that yield vowel sounds. Our natural overtone pattern, and the resonance shaping we make with our glottis, mouth shape, and nasal cavity come together to form our unique sound. When we sing higher or lower notes, some characteristics change, but our Formants (our harmonic signature) actually stays the same. After all, just because one note is lower than the other doesn’t mean our mouth or nose changes dimension in order to produce the lower note. Pitch Correction accounts for this harmonic signature, these formants, and rearranges our sound to the desired pitch while preserving the harmonic shape. This part is pretty complicated, and the most technical bits are still outside of my understanding. However, I’ll lay down the basic info. Pitch Correction uses a variant of phase based vocoding. So, when people call Pitch Correction software “the vocoder” – they aren’t totally incorrect. Pitch Correction is essentially a very specific vocoder. Phase Vocoding sounds complicated. It is and it isn’t. At the most basic level a vocoder isn’t terribly complex. It literally “codes voice.” Our voice has different amplitude shapes at different frequencies as we pronounce words (particularly with vowel sounds). The vocoder reads the incoming volume levels at different frequency bands and figures out the shapes. These shapes control a set of frequency filters in the vocoder which are then applied to a different signal. While we most commonly think of this as being done by a compuer, it can actually be accomplished in the analog world relatively simply. But, the more frequency bands and filters used, the more accurate the vocoding will be – and computers allow for extremely high numbers of bands and filters to work simultaneously. Here’s the complicated part. In traditional vocoding, the voice may act as the modifying control for a simple wave shape or sound. In Pitch Correction, the voice essentially acts as the controller for a Pitch Shifted version of itself. Not only that, but the pitch shifted version is kept at the same or a similar time boundary as the original. This is done through mathematical algorithms that involve Fourier transformation and re-synthesis to get down to the basic structure of the sound, and re-create it at a different pitch without changing the rhythm – or making “intelligent” time changes that keep it as close as possible with minimal artifacts. The bottom line: Pitch Correction changes the pitch, but keeps the harmonic signature of the original (or as close to it as possible). There are several tuning programs on the market, the three most common being Antares Auto-Tune, Waves Tune, and Celemony Melodyne. All three have a unique sound to them that can be most noted when the functions are set to do the maximum amount of tuning within the smallest increments of time – meaning the tuned sound stays unnaturally locked on pitch. Even though they are all doing essentially the same thing, the make-up of the formant encoder, the quality of the filters, the intelligence of the pitch shifter (choosing how to best change pitch with minimal effects to time), and the accuracy of the programs parameters, all amount to somewhat different sounds. Auto-Tune – To be fair, my experience with Auto-Tune is more limited than my experience with Waves Tune or Melodyne. My impression has been that it is generally the most heavy handed of the three programs. Even when set lightly, it still seems to impart a coloring onto the sound. That being said, it can be a nice color – almost like an exciter. It’s also very easy to use. Automatic mode works very well the moment it’s turned on, and graphical mode is fairly intuitive when you want more control. Waves Tune – Waves Tune is to my ear, the most easily transparent. It’s designed with transparency in mind. This is probably not the software to use if you want some kind of excited effect, though it can still be done. There is a mild dulling of the sound at times, in fact. It’s also less CPU intensive. If I were to take a blind guess, I would say there’s simply wider frequency bands being used in the encoding and re-synthesizing process. The controls are extremely intuitive, and allow for very detailed access to the sound with little fuss. Melodyne – Melodyne is generally my choice of the three. It can be very transparent or very non-transparent, and the ways it can do it are more varied. That being said, it’s not the most intuitive – it takes a while to really master all of it’s uses. It’s probably not the best choice for a quick nip & tuck on a small moment – but for a sound where serious work is involved, you have more options, control, and great sound quality. What I especially like in Melodyne is that it allows for independent formant pitching, in addition to pitching the root tone itself. Skillful use of Pitch Correction requires a bit more expertise than just figuring out the key and running the process. There are in fact some fine controls that can be used for subtlety, to add some slight distortion or excitement, or totally turn the sound into a robo-synth version of itself (and a number of ways to do the latter). Now, in each program these things are controlled and labeled differently, so I’m going to make up some of my own words here – this isn’t technical terminology, but I think it will help explain the process. Tightness – There is generally a control that allows you to determine how much you want the sound source to stay locked on pitch. In Auto-Tune this is controlled by “Re-tune Speed”. In Waves Tune this is again controlled by a “Speed” control, but is also heavily influenced by the “Note Transition” function. In Melodyne there is “Pitch Modulation” which controls vibrato shaped pitch variance, and “Pitch Drift” which controls non-periodic pitch variance. Vibrato functions around the idea of the center pitch, whereas drift does not contain a pitch around which it modulates. Transitions – In addition to how closely the sound source sticks to a given pitch, there’s also the action of transition from one note to another. As unrealistic as it is for something to not modulate around a pitch center – it’s just as unrealistic to have no slide between notes on fretless instruments and especially a voice (at least on a legato line). As long as the phrase is continuous there will be some degree of glissando between the notes. In Waves Tune you have a “Note Transition” function which allows for more natural or more forceful transitions – measured in milliseconds. In Auto-Tune, source sound is broken into notes and curves. The “curves” are the transitional points, and can be manually stretched and bent. In Melodyne, note transitions are controlled by an angle setting that kicks in when using the pitch altering handle and placing the cursor at the edge of a note segment. Formant Control – A key element to all three is the ability to correct for formant displacement that would occur with regular pitch shifting. All three programs use different algorithms that can be modified by the pitch range of the sound source. While Waves Tune simply offers an on/off control and voicing range (bass, tenor, alto, soprano), Auto-Tune and Melodyne both offer some more interesting options. Auto-Tune comes with a “Throat” control which allows you to change the width of harmonic resonance that would occur from having a smaller or larger throat size. This algorithm is used in other Antares software, and can create the illusion of a persons head being larger or smaller! Melodyne has a more practical and interesting control – an independent harmonic shifter for the formants themselves. One of my favorite uses of Melodyne is not actually pitch correction, but lifting the formants as a way of exciting a vocal. This is good for people who’s voice could use a little excitement, or for a thinner voice to sound a bit breathier by shifting the formants down. Mind you, formant shifting does not actually change the pitch – it changes the placement of the harmonic bands where signature formants are occurring. Draw Function – One of the cool things about Auto-Tune and Waves Tune is that you can actually draw the pitches you want to produce. This allows for pitch automation in a way that is otherwise unprecedented. 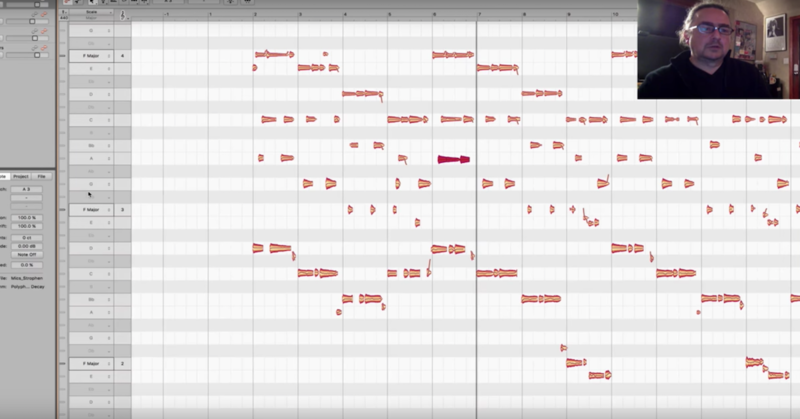 The one drawback of Melodyne is that the company has rejected the implementation of this very useful feature – though separating notes and using more conventional pitch altering tools can certainly get you far (just not as quickly). Unique Features – Different programs have embraced unique feature sets in anticipation of end user requirements. 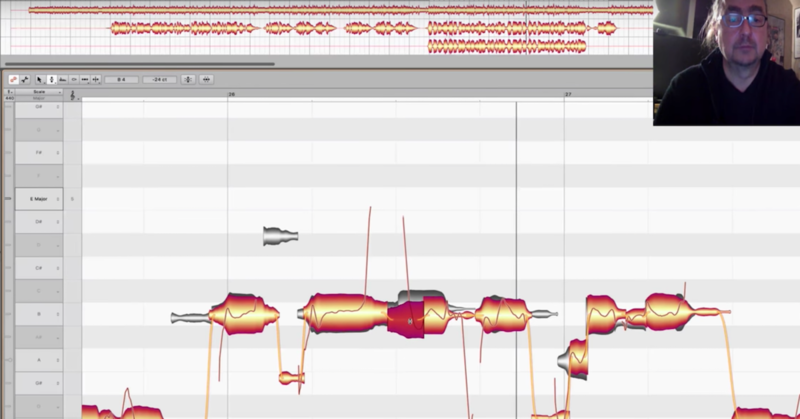 Melodyne can act as a rudimentary DAW, allows for advanced rhythmic correction and amplitude shifting – in case you want to rework a sound source in any way. Auto-Tune has a Vibrato creator that can allow you to put in pitch variance that didn’t previously exist, as well as a ‘Humanize’ function that varies the re-tune action based on the duration of the note being effected. In addition Auto-Tune can transpose as a traditional pitch shifter (no formant correction), while acting as a pitch corrector (with formant correction) in the same pass. Waves Tune, well, Waves Tune is just really fast and easy to use (and also allows for creating artificial vibrato). For the really ambitious user, notes can also be triggered by MIDI. There’s a number of techniques one can use as a mixer, producer, or editor when it comes to pitch correction. I’ll share a few of the things I’ve done and hopefully you will comment below and share some of the things you’ve done. First, there’s really two applications of pitch correction. As a special effect to make someone or something sound like a robot from Cydonia. To be subtle, it helps to understand that pitch is the perception of frequency. Meaning, to be on pitch, one does not have to actually be exactly on the frequency – the sound just needs to center around that frequency. You really don’t need to be heavy handed with the tightness (speed). A little nudge will at least lock the sound in enough to perhaps be “pitchy” for a moment, but not “off pitch.” For a natural performance, pitchy is not the end of the world. Also, don’t rely on the pitch corrector as your only tool in the arsenal. If there’s a really out moment, you might be able to clip a snippet of a similar note or phrase from elsewhere in the song and paste it in, or cut out the off moment and time stretch the moment before it to reconnect the sound. It’s better to use a variety of approaches in subtle ways then to rely heavily on just one technique. Also, listen closely to how legato phrased notes slide together – they shouldn’t sound like distinct glisses, but also shouldn’t sound like sudden jumps either – unless it was done purposefully or is a distinct part of the performer’s style. For a natural performance, really assess the player’s/vocalist’s vibrato. String players and vocalists who are classically trained but still developing as musicians tend to be a little less controlled when it comes to vibrato – or they go the other way and get too stiff. A long sustained note generally falls into a vibrato as the muscles of the throat and diaphragm tire. If the vibrato is swinging more than a quarter tone in either direction, I would tuck it in a bit. If you have a performer or singer who is just super controlled and doesn’t waiver a drop – give it just a hint of quiver and see if that opens up the moment a bit. Now, for the fun stuff. Here’s a few fun ways to mangle up a vocal and turn it into something weird – while straying from being totally cliche. Let’s say you want that “tuned” effect on a vocal, but you still want the vocalist to sound like a human being. The trick here is to have natural note transitions, but unnatural pitch tightness. Use graphic mode to make sure your vocalists voice moves like a human being’s, but sustains robo style. Or, do the opposite – hard tune the transitions, but keep the actual sustain of the voice loose. This will add just a glimmer of synthy harmonic distortion – just something slightly surreal. Here’s a fun one I learned from Chris Athens. Copy a track and take the cadences at the end of each phrase. Tune those cadences up to a different note that is still relevant to the chord the vocalist is on. Now your vocalist is harmonizing with her/himself. Tuck that harmony vocal way down, or mute it’s output but send the signal off to the main vocal’s reverb/delay. This will reinforce the implied harmonies and add a little excitement. One thing I like to do with strings when working with a dance or modern hip-hop track is to hard tune them, sometimes twice, even using different tuning programs. Strings have a natural waver that occurs from the push of the bow changing the tension on the string. It happens really subtly and really fast, so it’s not really heard, it’s just part of the sound. But with pitch correctors you can take that waver out. 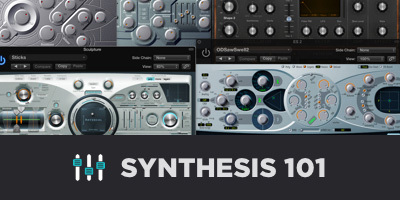 You’ve made the natural string now sound like the best synth string patch ever heard. This can also be effective with horn instruments. Antares Auto-Tune has a specific “instrument” mode that you can experiment with, and I’ve heard great results from even tuning a fretless bass on an electronic style dance track to get that “perfect” pitch. One last fun one I recommend playing with: Copy the track you are working with. Hard tune one track to the pitch, but go a couple cents sharp (just one or two). On the copy, hard tune to a couple of cents flat. Set at equal volumes and pan slightly apart. Suddenly your sound is very wide. It’s a unique chorus-type effect. The more they overlap, the more of the “swishies” you will get from the two versions going in and out of phase with each other – which can be cool. The more they are apart the exponentially wider the vocal will stretch, because those quick phase conflicts will trick the ear when they come from different directions. Since pitch correction became popular, there has been a divergent rise in the appreciation, as well as distaste, for tuning. Pitch correction, like any other tool, is all about what you do with it. So please share some of your thoughts and techniques in the comments section below, and keep checking in for more great articles. 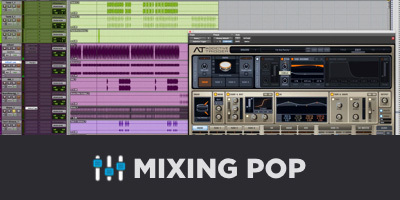 Melodyne, Waves Tune or Auto-Tune?